Home » News archive » THE 69 EYES:…THE 69 EYES: Send Season's Greetings from The Studio & Get Ready for Band's 30th Anniversary! THE 69 EYES: Send Season's Greetings from The Studio & Get Ready for Band's 30th Anniversary! 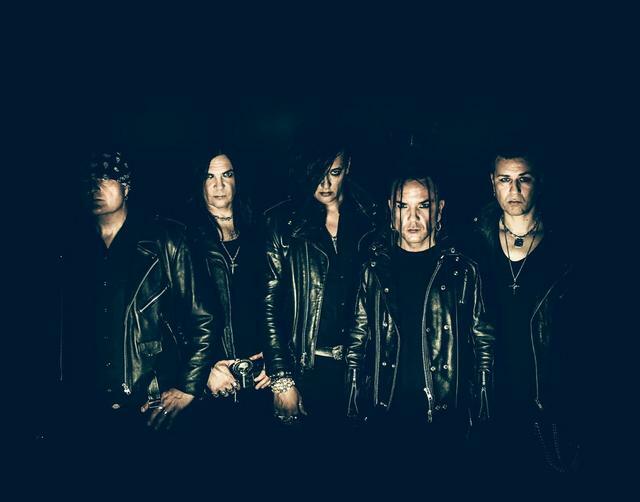 Helsinki's goth'n'roll vampires THE 69 EYES are currently putting the final touches to their 12th studio album scheduled for spring 2019. While the title and release date are yet to be unveiled, the tracks have once again been recorded with longtime producer Johnny Lee Michaels in Helsinki. Right in time for the band's 30th anniversary, the legendary Finnish quintet gathered and combined forces to forge another milestone featuring plenty of top notch guests, as well as an additional DVD which of course features their signature rock'n'roll gothic vibe. Plans for worldwide touring are currently in the making and will soon be announced with further info on how THE 69 EYES will turn 2019 into a pitch-black year of celebration.